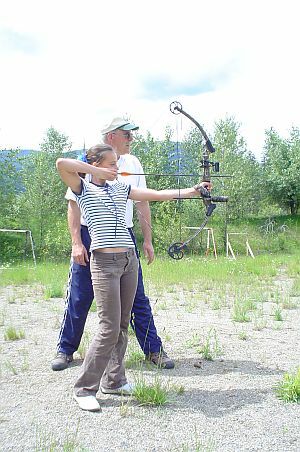 Our Club strongly supports archery as a fun family activity, a target shooting challenge or an exciting hunting method. 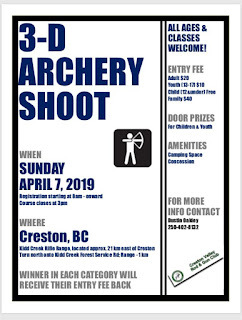 We have an extremely active archery committee which hosts an in-door winter program and two 3-D shoots on our Kidd Creek property. The Club has acquired over 50 3-D targets for outdoor shoots and a set of sturdy target blocks for the in-door program. 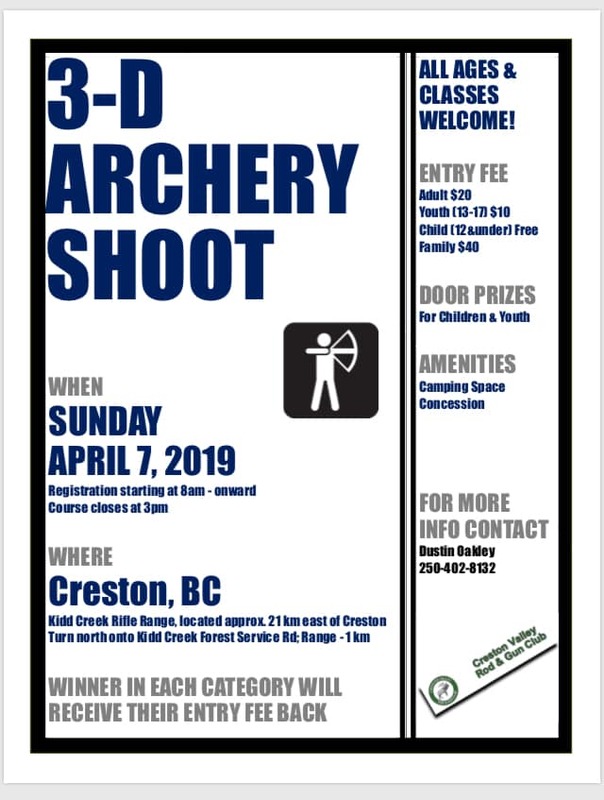 We also have an outdoor archery range set up year round on our Mawson lake property for members to sight in their bows or practice on a few 3D targets. These occur on a course at our Kidd Creek Range which provides for a variety of shooting situations. The Club welcomes spring by hosting a one day 3-D shoot. The high score in each category receives their entry fee back. 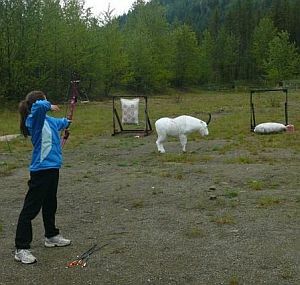 Each May the club hosts a full 2-day shoot with prizes in many categories. Contact: Dustin Oakley at 428-9820. This takes place at the Wynndel Hall each winter during January and February, every Tuesday at 7:00pm. Free to CVRG members; $5.00 drop-in fee for non-members.